Salesforce allows only 1333 characters in the signature section, so make sure your signature is neat and not bulky. Select the option Other in the list of email clients. 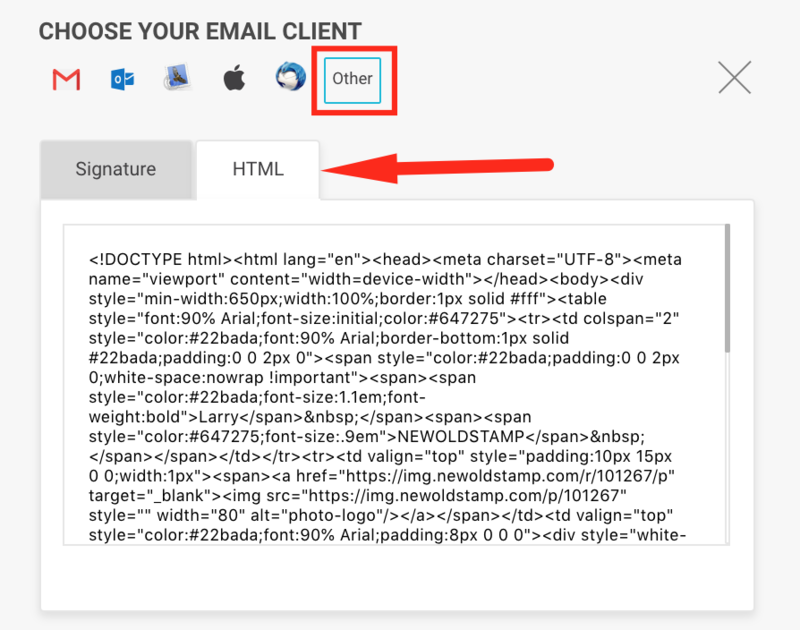 Select the HTML tab, scroll down the Signature code and Click the “Copy and Proceed” button, which will save the signature code in the clipboard. Scroll down to My Email Settings. Save the changes and check your new signature by sending a test email. Congratulations! Now you will see your new signature in every email you send with Salesforce.